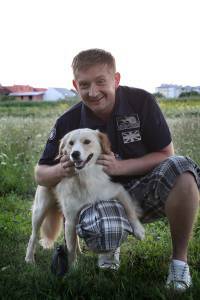 08/11/10 Radio Show Host Dalibor Petko Adopted another Dog from the Shelter! 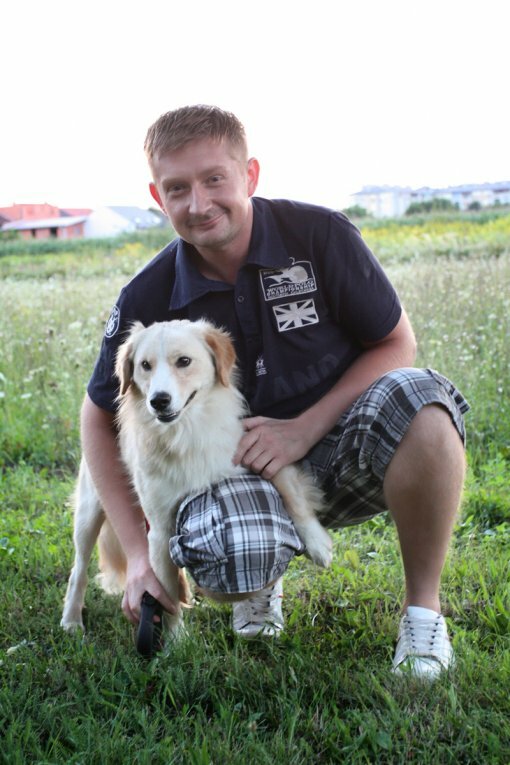 The popular TV and radio show host Dalibor Petko showed that he has a big heart when he adopted the dog Max from the Shelter for abandoned animals in Dumovec last year. Then he appealed to the citizens that, instead of buying animals, they opt for adopting dogs from shelters, giving them an example by deliberately choosing an older dog who for a very long time has been waiting for his adopter. "Unfortunately, Max got sick and soon died. Even though he was with us only a couple of months, he became our darling so it was very difficult to decide for us to take a new dog," says Petko. However, the love for dogs was stronger, so the Petko family took a yellowish shepherd mongrel. Last Friday from the shelter in Dumovec he adopted another grown-up dog, Vasi, thus one more time unselfishly opening the door of his home to the creature craving for love and commitment. Vasi's new home will be in Velika Gorica’s surroundings. "Vasi is a great dog who got used to us immediately. For a long time already I was planning on taking in a dog, so when I saw Vasi I knew he was a dog for me," says Dalibor. The dog Vasi together with the dog Frki and the singer Marko Tolja was this year's cover face of Animal Friends' campaign "Family to the Seaside, Dog to the Street?," which calls upon citizens to a responsible treatment of companion animals and to not abandon them. The good news is that beside Vasi the other dog Frki is adopted too. Many celebrities around the world such as Pamela Anderson, Oprah Winfrey, Mickey Rourke, Katherine Heigl and Hilary Swank homed abandoned dogs and invite to adopting dogs from shelters. In Croatia, Maja Vucic, Nenad Hervatin, Tamara Loos and Ana Ugarkovic are one of celebrities who gave love and home to abandoned dogs. By adopting animals instead of buying them, with their own example celebrities urge citizens on nobleness of adopting abandoned animals, who show ever lasting gratitude and fidelity to their new guardians. "To everyone who wants a dog I recommend to visit a shelter for abandoned animals. Dogs from shelters are so affectionate and grateful, especially dogs that have spent a long time there. If you want a dog and have the appropriate circumstances to give him a home, come to the shelter. 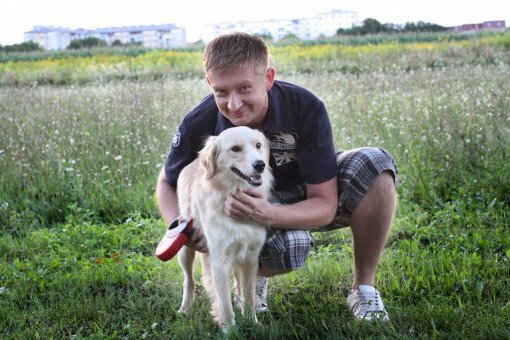 You will brighten life to one creature and in addition you will get a life-long friend," said Dalibor Petko. Shelters crammed with abandoned dogs are the result of irresponsibility and lack of compassion towards innocent creatures that depend on our care. All over Croatia thousands of abandoned dogs await individuals or families who will give them a new home. 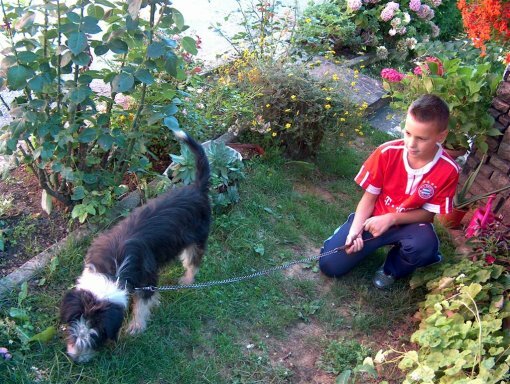 Animal Friends invite to follow Dalibor's example and do not buy animals, but, if they are able to provide a proper home, to adopt an abandoned dog or a cat, thus saving a life. The Dumovec shelter dogs can be seen at www.azilzagreb.com. 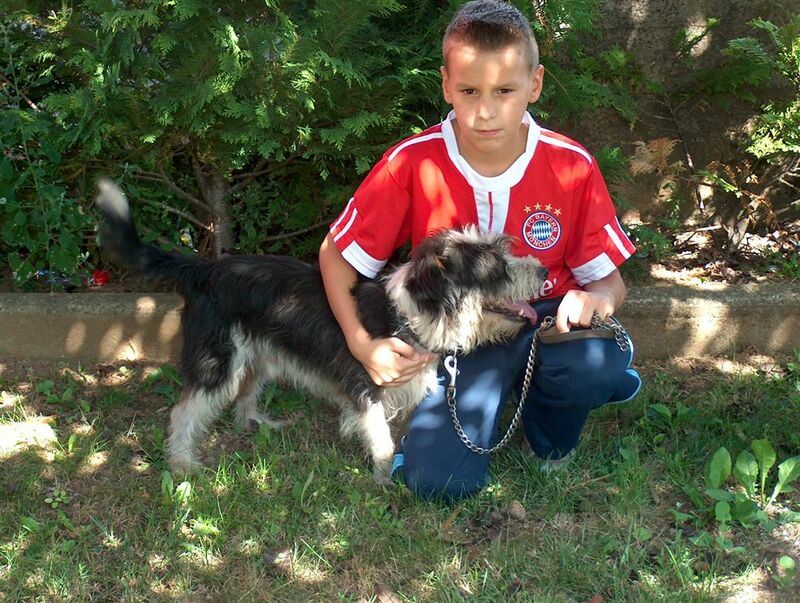 Abandoned animals can be adopted from other shelters as well and from the classifieds at www.prijatelji-zivotinja.hr. More information about the campaign against animal abandoning with the photos of Vasi and Dalibor Petko taken by Ivan Bukvic can also be seen there.